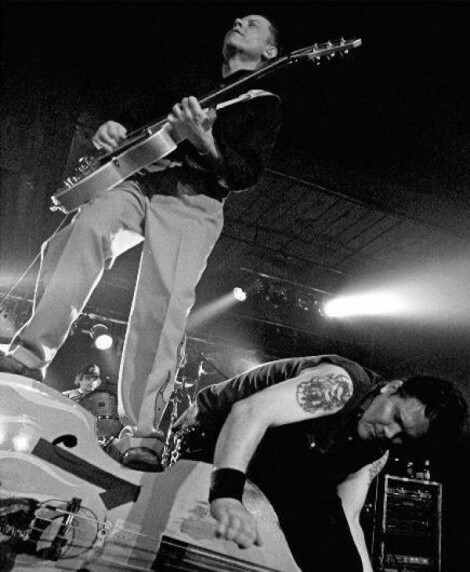 Holy Smokes: The Reverend Horton Heat serves the Church of Rock & Roll. Of course, the charged bottle was a product of science, but listening to Heat’s “Big Sky” can compel you to chalk it up to the glory of rock & roll. The rumbling instrumental guzzles feedback, slows briefly, darts between frets, and takes off roaring. While assuredly the key song in the band’s repertoire, it’s one among dozens: Since bonding in the mid-’80s, Heat has knocked out eight albums, two retrospectives, a collection of Christmastime covers, and a handful of singles. Their style samples a smattering of flavors—rockabilly, surf rock, punk, psychobilly, the blues, ’60s outlaw country—and wraps itself up in a hot-rodding, lowbrow package. Through just guitar, vocals, upright bass, and drums, their rock has grown weighty and irresistibly American. Is that bottle-electrifying power still what makes Heath tick? Oh, yeah. “I still love that stuff,” he says. “I still listen to it.” In the lineage of rock & roll, Heath isn’t its creator—only its apostle.